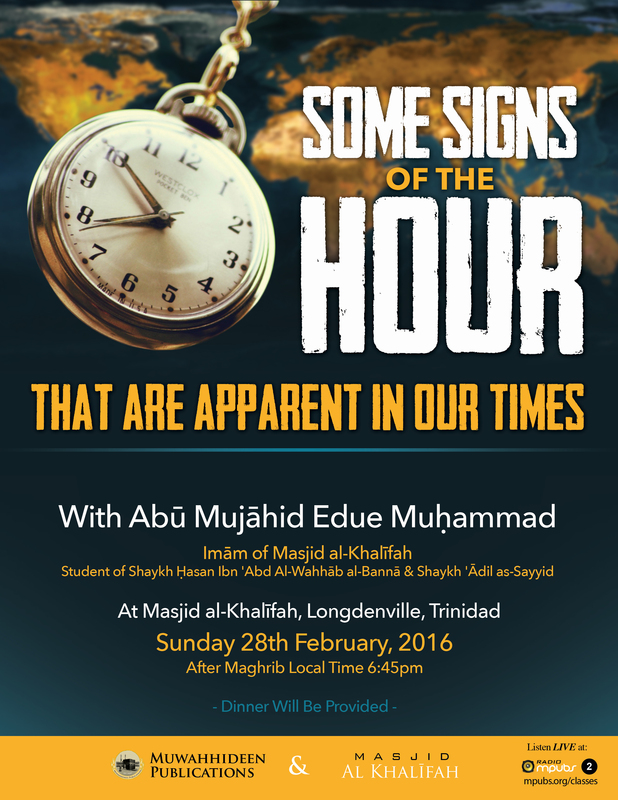 Muwahhideen Publications and Islam.TT in conjunction with Masjid al-Khalīfah are pleased to announce a lecture event with our noble brother Abū Mujāhid Edue Muḥammad (May Allāh Preserve Him) on Sunday 28th February 2016. Abū Mujāhid is the imām of Masjid al-Khalīfah, Longdenville, Trinidad and has studied with our Shaykh Ḥasan Ibn ‘Abd Al-Wahhāb al-Bannā and Shaykh ‘Ādil as-Sayyid (May Allāh Preserve Them). 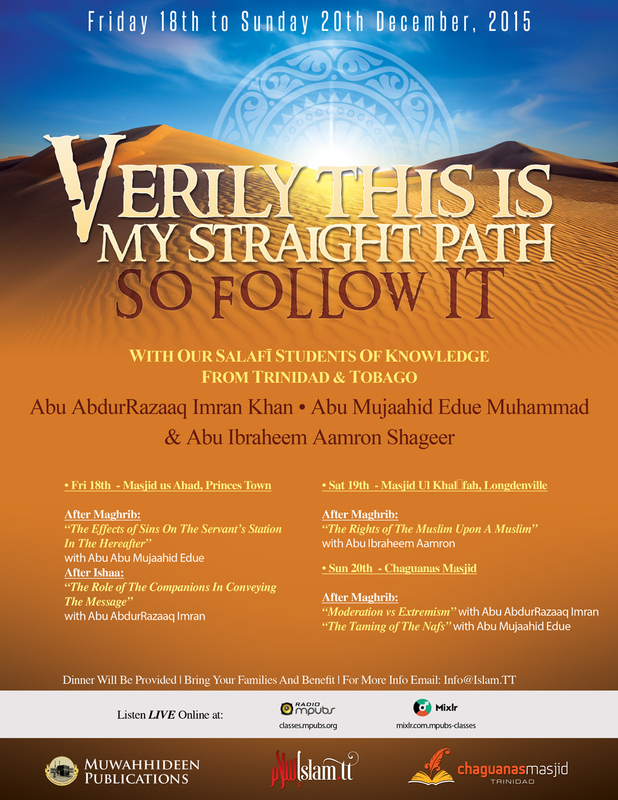 This lecture event will take place at Masjid al-Khalīfah, Longdenville after Ṣalāh al-Maghrib (approximately 6:45pm T&T | 5:45pm EST | 10:45pm GMT). Dinner will be provided, In shā Allāh.